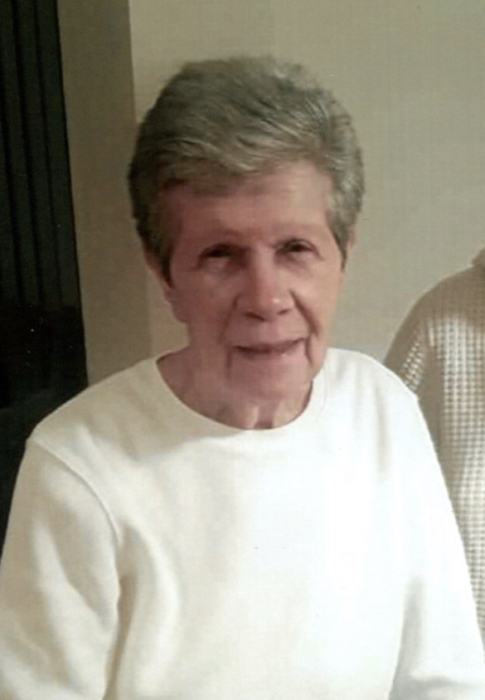 Margaret "Marge" Zangara (Portanova) age 90, of Carpentersville, passed away on March 30, 2019 in Elgin. She was born in Italy on January 12, 1929 the loving daughter to Mario and Nancy Portanova. Marge is survived by her loving sons Frank (Gina) Zangara and Mario (Susan) Zangara; her cherished grandchildren, Sam and Amanda Zangara and Caroline and David. Marge was preceded in death by her beloved husband Samuel M. "Sam" Zangara in 2017. A visitation will be held on Tuesday, April 2, 2019 from 4:00 PM to 9:00 PM at Willow Funeral Home 1415 W. Algonquin Rd. (one mile east of Randall Rd.) Algonquin. Funeral Services will be held on Wednesday, April 3, 2019 at the funeral home from 9:00 AM until time of a 10:00 AM Prayer Service . Interment will follow at St. Michael the Archangel Cemetery in Palatine.